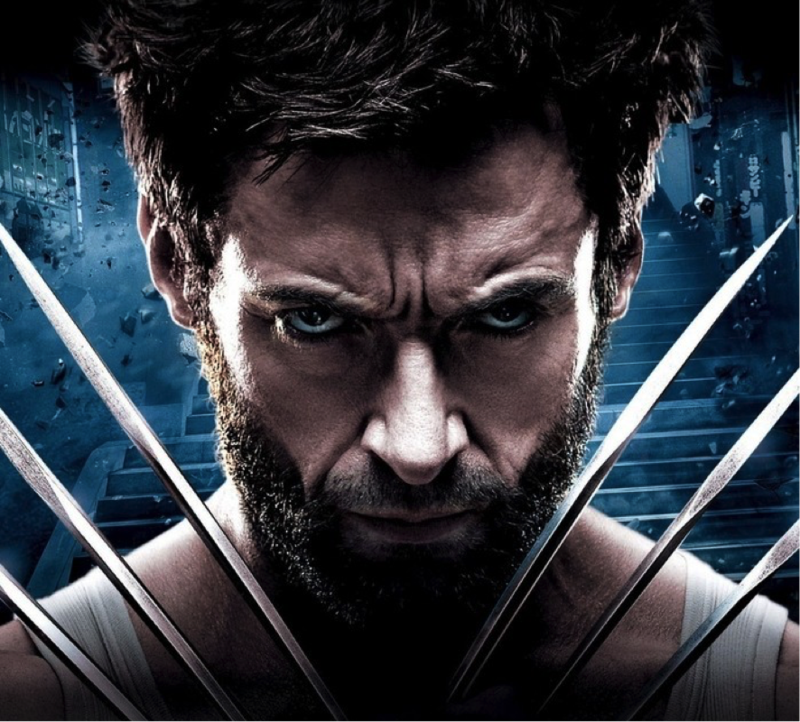 Hugh Jackman is an Australian actor and producer, most notably well-known for his long-running role as Wolverine in the X-MEN series film. 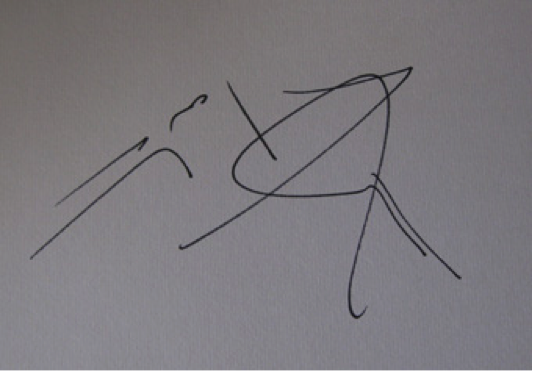 He has won international recognition through other superhero, period, and romance films such as Kate and& Leopold, Van Helsing, Les Misérables, and etc. 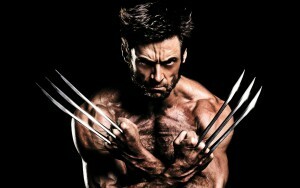 Here we want to introduce five things Hugh Jackman likes to do in Japan. 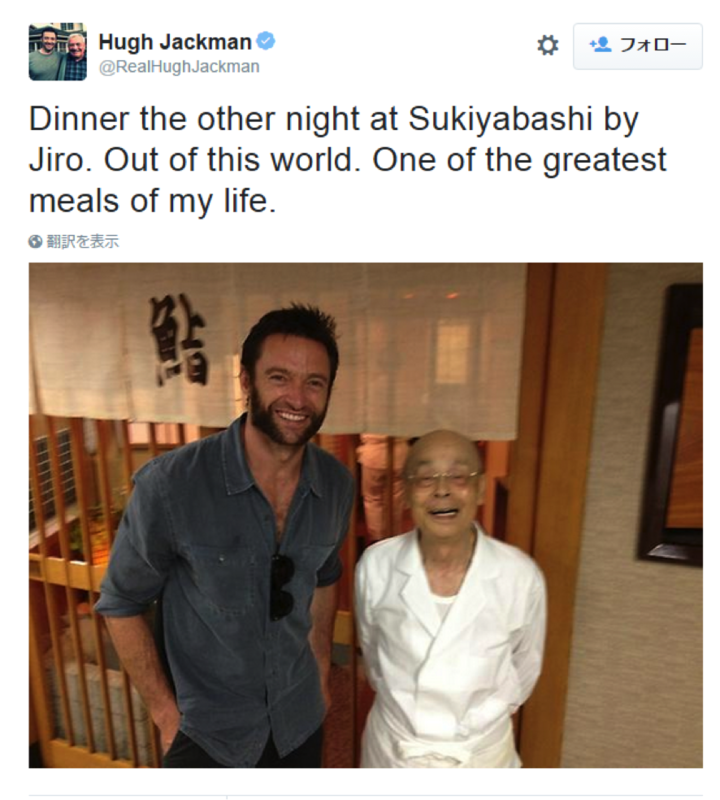 During his trip to Japan, Hugh Jackman often visits Sukibayashi Jiro, a sushi restaurant runs by the world renowned sushi master, Jiro Ono. 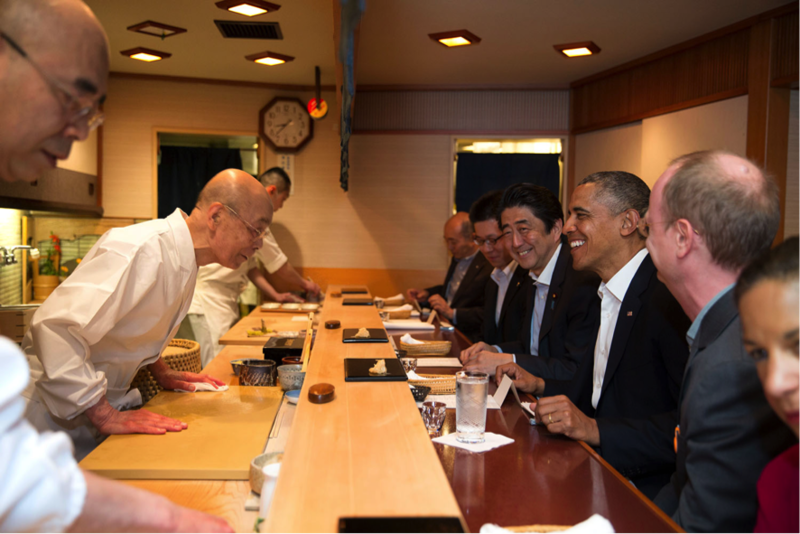 Aside from Hugh Jackman, Katy Perry, Arnold Schwarzenegger, as well as world leader like President Barack Obama and Prime Minister Shinzo Abe also pay visited to this high class sushi restaurant. Operating Hours Mon. ~ Fri: 11:30 A.M. ~ 2:00 P.M. / 5:00 P.M. ~ 8:30 P.M. Sat: 11:30 A.M. ~ 2:00 P.M.
Hugh Jackman and his son, Oscar, accomplished their long-time dream of ascending to the top of Mount Fuji. 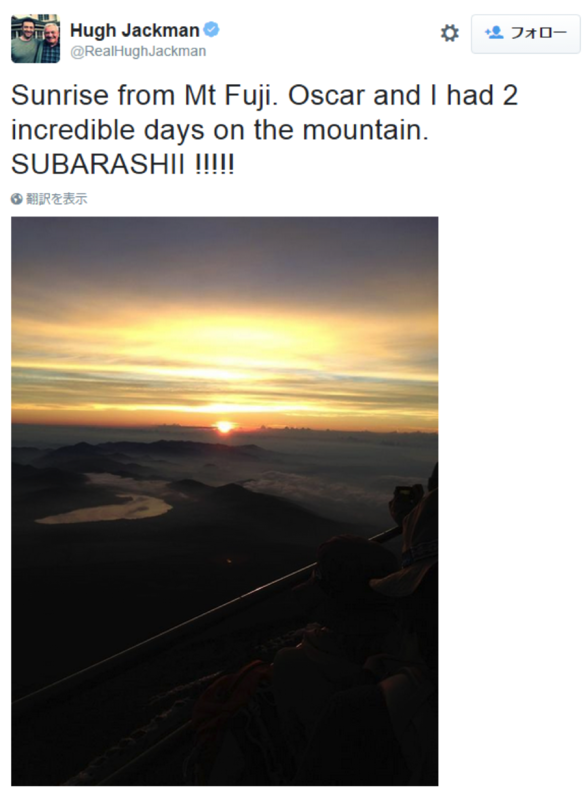 He was totally immersed into picturesque sunrise view from Mount Fuji. 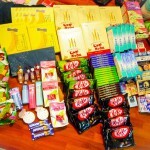 This is indeed an incredible, must try experience! Shinkansen, also known as ‘bullet train’, is the current fastest train on Earth. 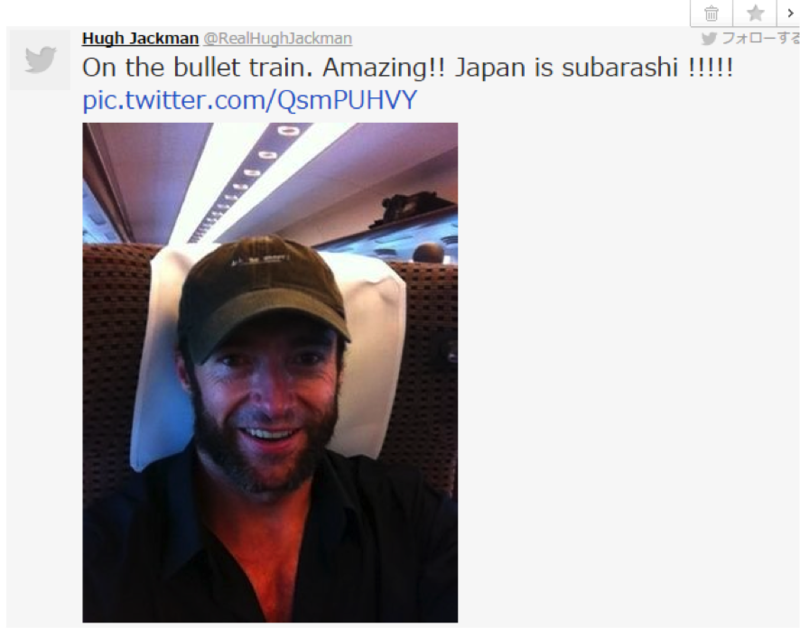 Hugh Jackman had his first Shinkansen ride when he travels from Tokyo to Hiroshima for theWolverines’ filming. He was really impressed with this high-speed, luxurious train! 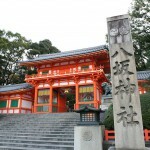 During the filming of the Wolverine in Hiroshima, Hugh Jackman stayed in this luxurious hotel. 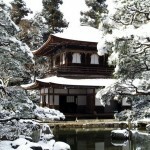 He enjoyed the stay in this hotel and also Japanese style open-air bath! 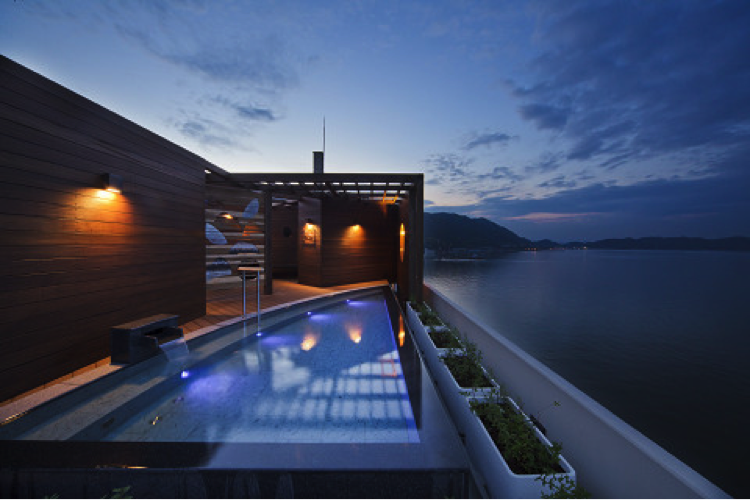 (All rooms come with open-air bath). 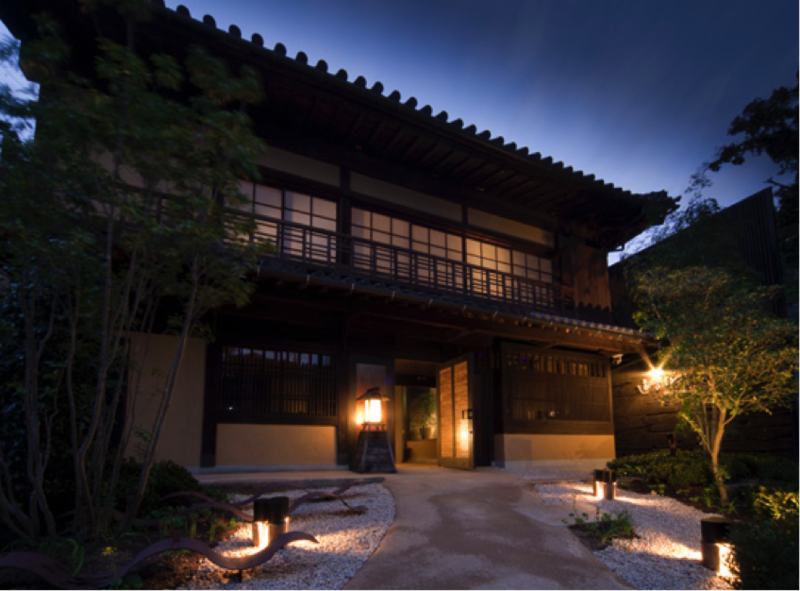 If you plan to come to Hiroshima, this hotel would be great choice if you want to have a luxurious, yet traditional stay experience. 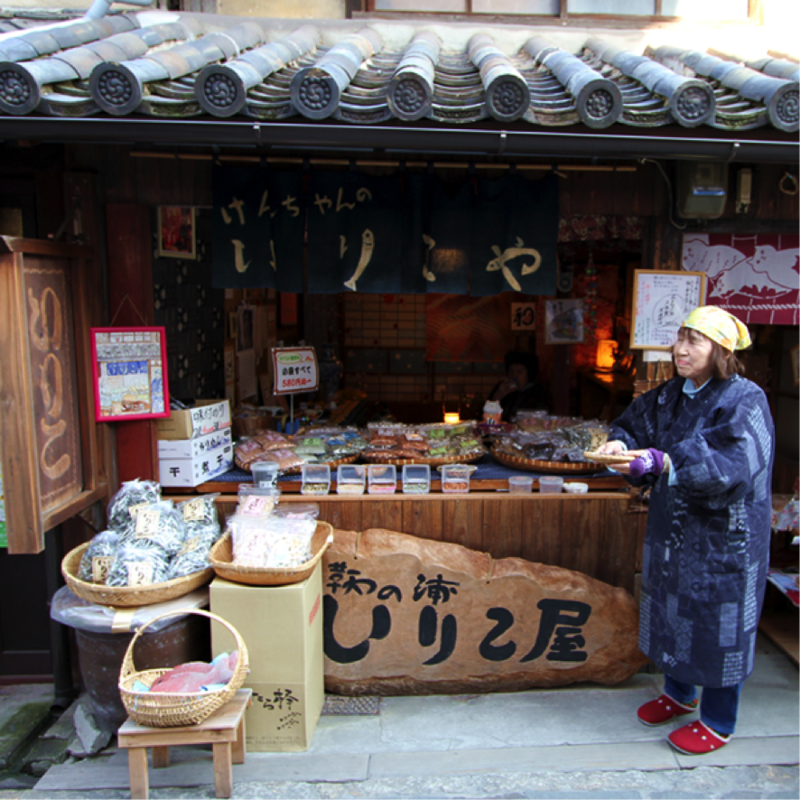 Kencha no Irikoya is a dried seafood souvenir shop located in Tomo no Ura, Fukuyuma City. The shop is especially famous for its dried squid. 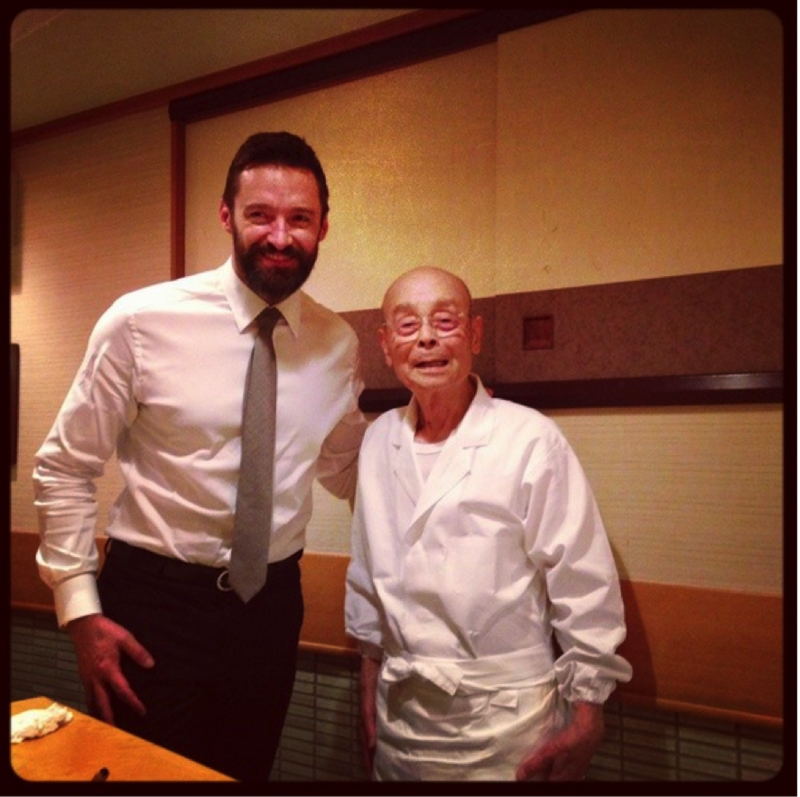 Hugh Jackman ate lunch here after his shooting ends. 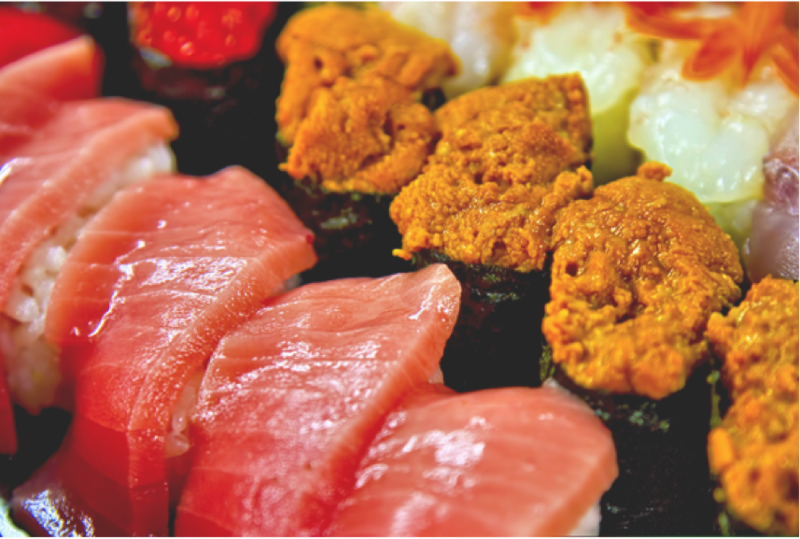 Operating Hours 9:00 A.M. ~ 5:00 P.M.